After weeks, and sometimes months, of redesigning a website it’s always exciting to launch and watch the reaction of the audience. As exciting as the reaction is, that’s not what drives a redesign; we’re all about finding and providing solutions that address client goals. If we address those goals, then the positive reactions are all icing, which is the case with our latest project: Batman News, the most popular Batman site on the web. 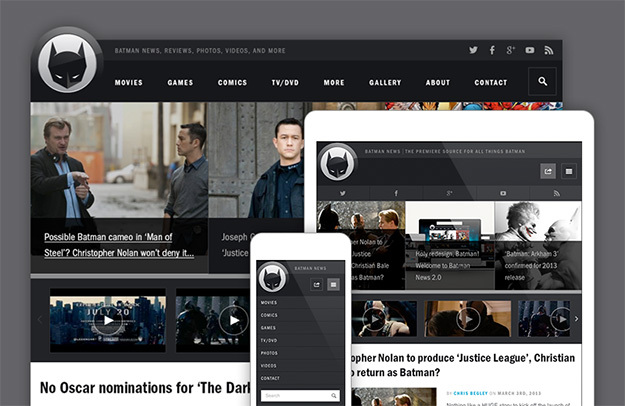 In a blog post announcing the new site and identity, founder Chris Begley outlined some of the decisions behind redesigning Batman News, how those decisions were addressed, and his experience working with Blazer Six. I encourage you to check it out on all your devices and let us know what you think.